Jamestown Matters... Welcome to America's front doorstep, the place where the country was born with the first permanent English colony in the New World. The Jamestown experiment followed the disaster at Roanoke Island, where the residents and colony disappeared without a trace in total mystery. Jamestown was England's second attempt to establish an English foothold in the region, hoping to compete with the Spanish for a European presence in North America. Jamestown is where the first church in America was built, where the first representative government was established, and sadly where the first African servants arrived, which later evolved into the slave system. 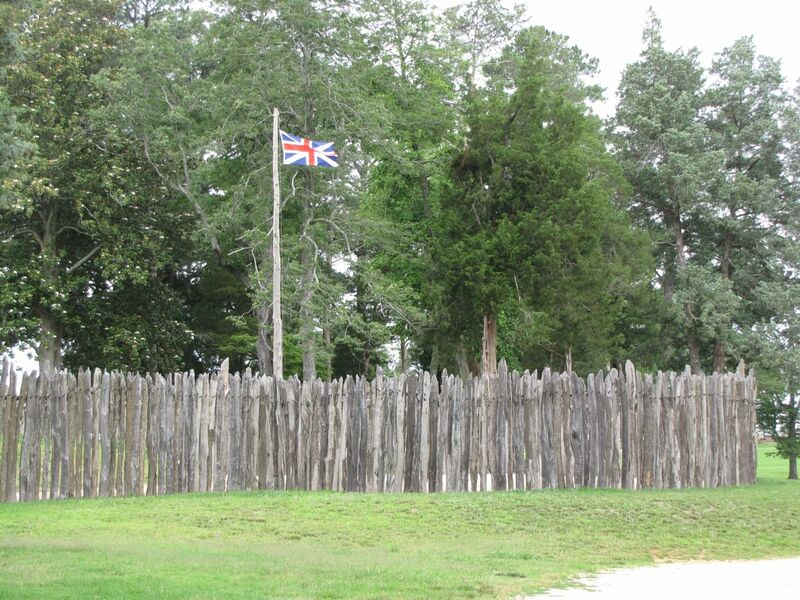 The colony of Jamestown was a constant struggle of trial and error as the residents fought for survival. They battled against disease, poor leadership, profit driven agendas, starvation, and their Native American neighbors. Over half the original settlers of the colony lacked the essential skills for life in the wilderness. 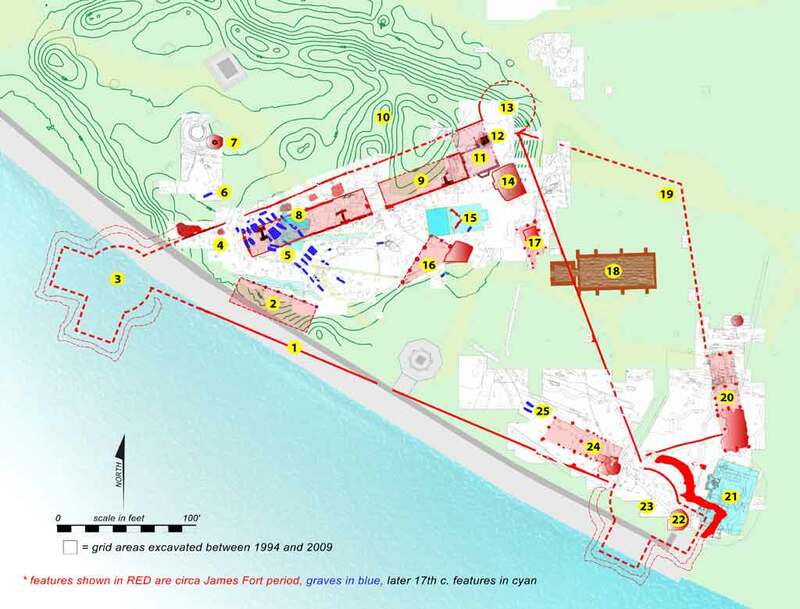 The site chosen was easy to defend against the Spanish threat to the south but was located near a swamp without a reliable source of fresh water. As a result, half of Jamestown's settlers perished in the first year and many others were unable to contribute to the colony, as they were sick with malaria. 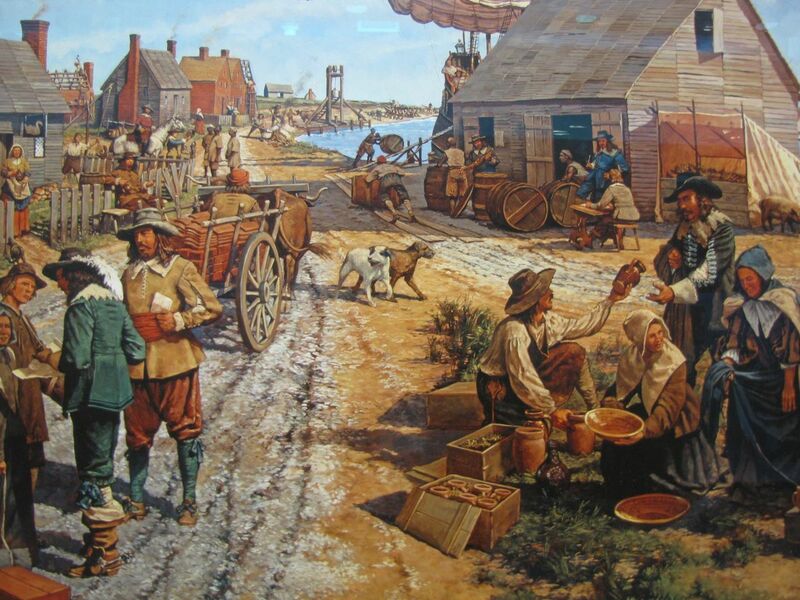 The average settlers odds of surviving life in Jamestown in the early years was less than 30 percent. And yet, the colony clung to life and somehow managed to continue to exist day after day. 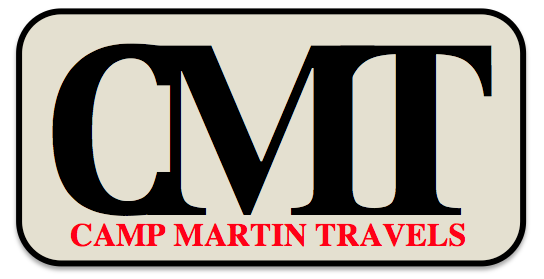 Eventually the stockholders running the show back in London decided they needed a leader on site to get the colony back on track and Captain John Smith was sent to Virginia as the colony's new drill sergeant. The Spanish had made themselves the wealthiest empire in the world almost overnight, built on New World riches extracted in Central America. The English were hoping to duplicate if not exceed the successes of the Kingdom of Castile but... not so fast. The English did not find Native American empires filled with treasure, like their neighbors to the south but that didn't mean they stopped hoping. In the meantime, they put their health and common welfare at tremendous risk by relying heavily on unreliable supply ships from England for the bulk of their essential provisions. It was a recipe for disaster and John Smith now arrived to get priorities for the colony's survival back in order. Smith put the hammer down like dad coming home by surprise to break up the party. Consider yourself grounded! Smith had to regain control and he realized that the one item valued more than gold in the colony was food. Finding wealth would mean nothing if you starved to death. Captain Smith gathered all the colony's provisions in a storehouse under lock and key and established a policy of... You Don't Work... You Don't Eat. Everyone had to pitch in, putting in time daily working in the fields and inside the fort walls to help enhance their chances of survival. They needed to be responsible for their own welfare before they concentrated on personal financial gain. Soon survival took precedence over profit and the overall health of the colony began to improve. Smith also attempted to improve relations with the local Native Americans, trying to ease tensions, secure foodstuffs, and establish trade relationships with the local tribes to develop. Along the way, he became ingrained in American folklore when he penned a story, years later, describing his rescue by a young Algonquian girl named Pocahontas. 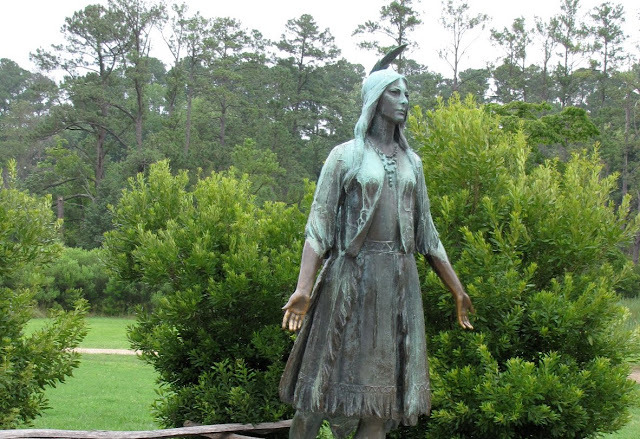 In a nutshell, he was off exploring when he was captured by a group of Powhattan warriors and was then taken back to the village where he was presented to Chief Powhatan. Smith said he was first greeted warmly and was fed by the tribe but was later dragged to a large rock and surrounded by warriors with battle clubs. Before the Indians could start playing pinata with his head and carry out his death sentence, a young girl emerged from the crowd to lay her head upon Smiths to protect him. 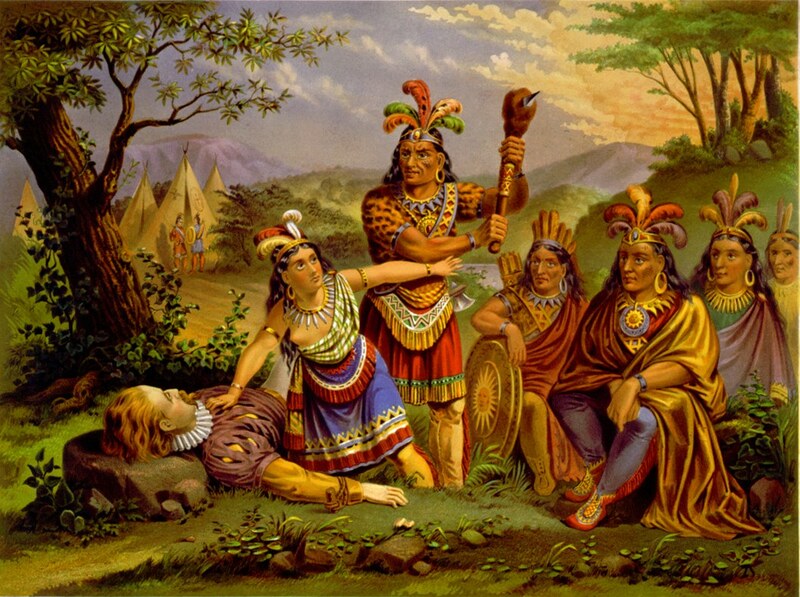 The girl was Pocahontas, one of the chief's daughters, and Powhatan was so moved by her selfless act that he sparred Smith's life and even adopted him into the tribe as a son and awarded him chief status. Wow, what a great story! Amazing! But chances are... it never happened. Smith made a decent living as an author, penning books about his adventures as a world explorer. Many experts suggest that Smith often took liberties with the facts, often trying to enhance his escapades to improve book sales. Chances are he never mentioned the incident until it appeared in print ten years later, which makes the accuracy of the account suspicious. However, as someone once said... "Never let facts get in the way of a good story!" The legend grew over the years and evolved into a love story played out in colorful animation in Disney's classic film. The romantic angle is also most likely fiction since Smith was pushing age 30 when he would have met Pocahontas who might have been 12 years old. You do the math... not bloody likely mate! By the way, the talking willow tree in Disney's Pocahontas, called Grandma Willow continues to gives me nightmares to the present day! Scary! If I were in the woods and some creepy old tree started talking to me I would have grabbed my axe and cut it down! Now back to the Jamestown site... 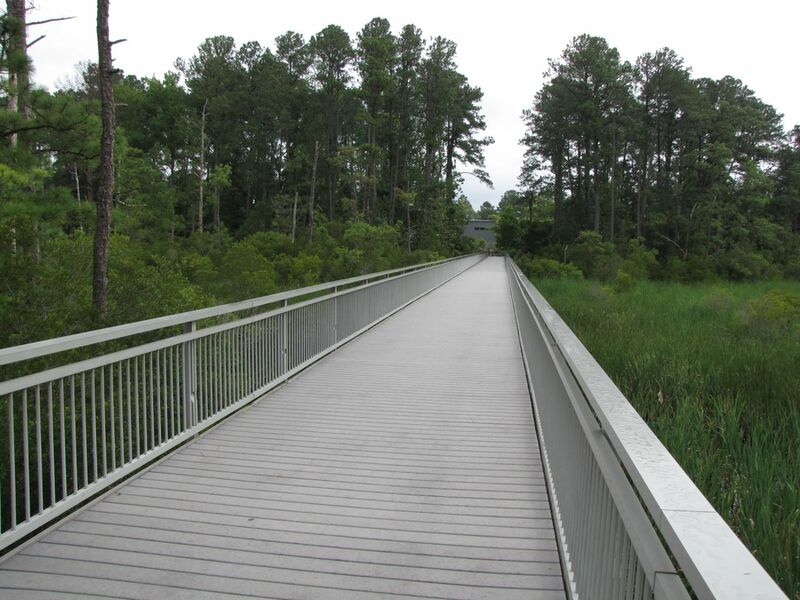 The new visitor's center is located about a quarter of a mile away from the historical location of Jamestown Fort. This helps preserve the visual history of the site but was done more so to protect the modern building from hurricanes and storm damage that often plague Virginia's coast. 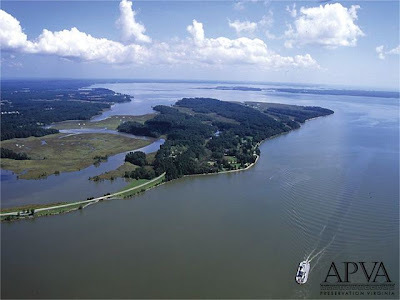 A few years ago a hurricane created storm surge up the James River, flooding the previous visitor's center and destroying a lot of paper records and some fragile artifacts. Following a nice overview and introduction at the new and improved center, we exited the building and headed out across a scenic walking bridge over the inland marsh. 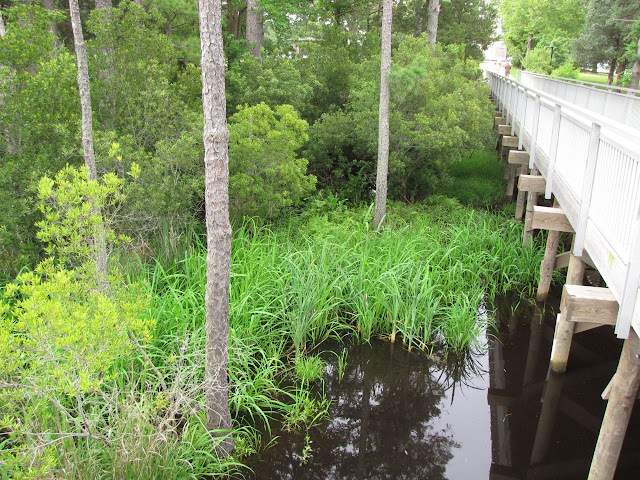 A few feet below us, a nearly invisible deer jumped through the swamp among the thick reeds. The bridge was really cool and gave you a good view of the peninsula's interior. 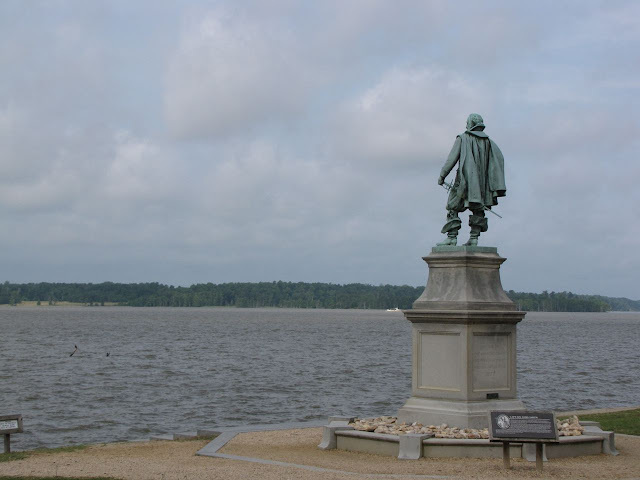 I was told the Jamestown site is extremely hot and humid during the summer months of July but today there was a strong breeze coming off the water, which made our visit refreshing and pleasant. 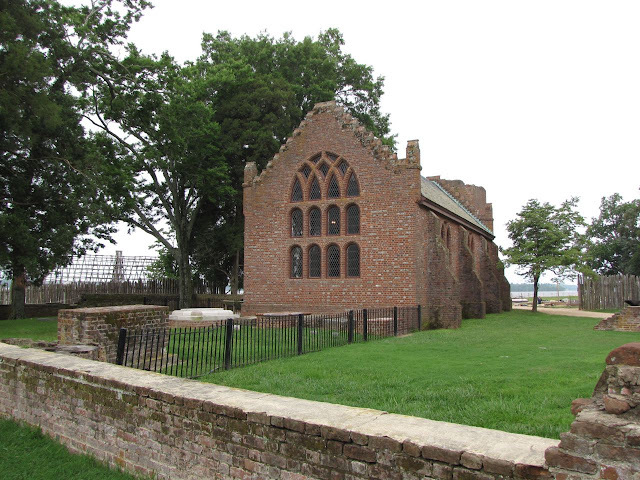 The main focal point of the 22.5-acre Jamestown site is the brick church which was actually constructed in 1907. The modern sanctuary was built to preserve the foundation of the original building built in 1609. It is also connected to the only remaining standing section of the original church, which is the semi collapsed tower. Nonetheless, the tower remains the oldest standing man-made brick structure in North America. The site was privately owned in the early part of the 20th century and the river and weather were eating away at Jamestown. Many thought the location of the original fort was now within the river itself. Around 1900 a sea wall was built to protect the site from further erosion. In addition to the church, brick remains of two dozen or so foundations that were built later are found to the east, where the town grew outward away from the fortress walls. 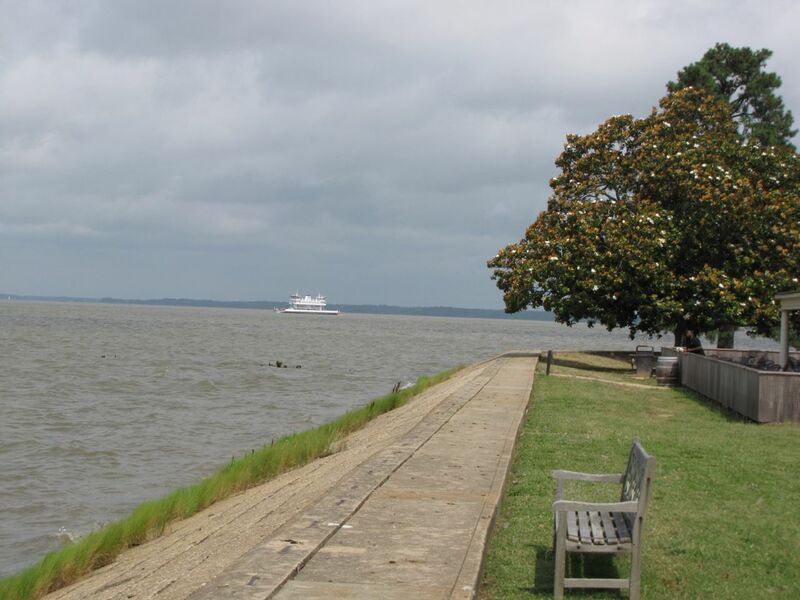 The site lay mostly dormant until a few years ago when an archeologist from the college of William and Mary thought the fort may not be completely lost to the James River. After all, had anyone really bothered to look? 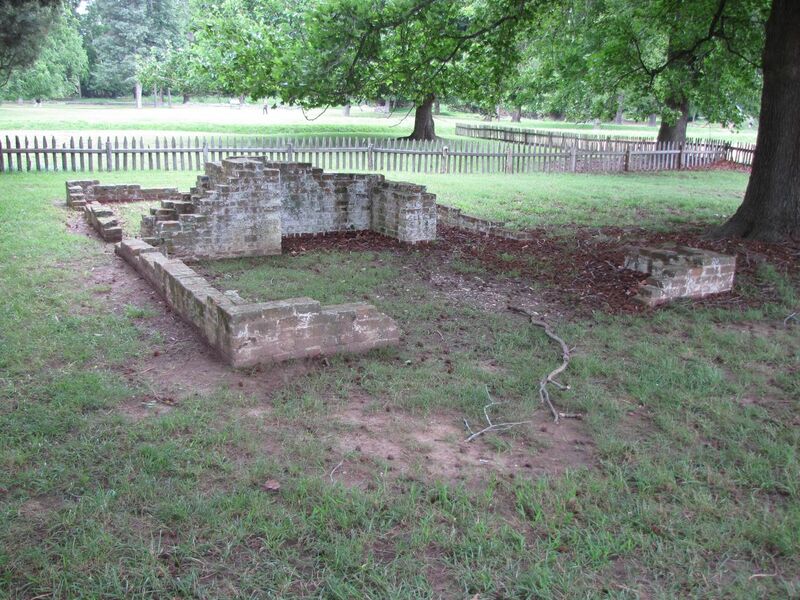 Dr. William Kelso's hunch was right and remains of the fort's post walls began to be found in 1994. Over the next few years the outline of the entire fort was slowly revealed. Approximately 90% of the fort was still on land, protected by the sea wall built almost a century earlier. The work continues today and we witnessed the screening process first hand as college students washed the soil to reveal pottery shards that haven't seen the light of day in over 400 years. Since the remains of the fort were first discovered, over a million artifacts have been discovered and cataloged. Many of the most interesting items are on display at a new museum about 100 yards away from the active dig site. The outline of the original fort and building foundations are shown in the diagram below. The search continues to unearth more clues of what life was really like in the settlement that started it all. The archeologist teams are now working inward, away from the palisade perimeter to unearth the remains of the fort's interior buildings. We had lunch in a little cafe right on the water nearby and the weather continued to cooperate with cool breezes off the river. We were on a tight schedule but I could have been content, sitting on the open cafe deck, enjoying the river view, and keeping the statue of Captain John Smith company for the rest of the day. 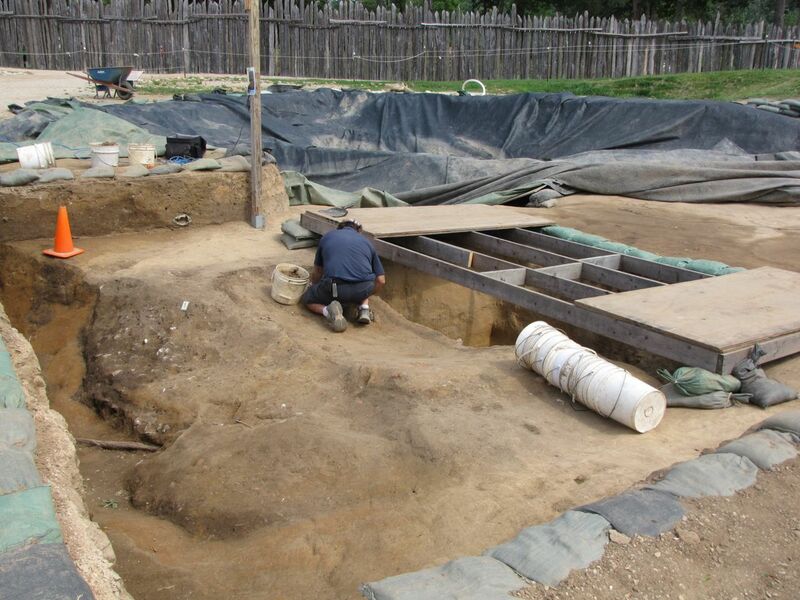 Next, we were off to see Jamestown again, only this time it would be recreated right before our eyes. About a mile up the river, you don't need to use historical imagination to picture what Jamestown might have looked like. The colony has been completely reproduced for people to explore. Stay tuned for the second half of our Jamestown adventure!